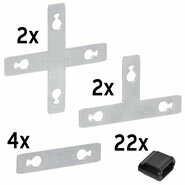 Ideal for Fencing Cats, Small Dogs, Rabbits, etc. Provides Protection against wild Rabbits, Martens, Otters, etc. The safety net with extra-close mesh for reliable protection of your pet. 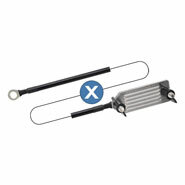 Quick and easy to set up, and it can be electrified using an energiser. 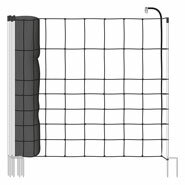 This 75 cm electric netting with extra close mesh is ideal for cats and other small animals such as rabbits, small dogs, or chickens. You can also use this electric netting as protection against animals from outside such as martens, raccoons, hares, foxes or otters. Thanks to its dark green colour, the netting is very subtle and highly suitable for use in the garden. Fence in your flowerbeds, ponds or vines with the net for small animals to protect your garden from unwanted visitors. The Euronet is made in Germany and is notable in particular for its high quality and practicability. Simply unroll it, set it up, and the fence is complete. If needed, you can electrify the net for small animals with an energiser. Of the 11 horizontal polywires, 10 carry a current. 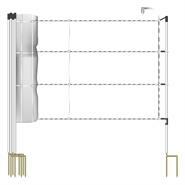 The horizontal wires with 3 x 0.20 mm stainless steel conductors provide reliable electricity flow in the electric netting. 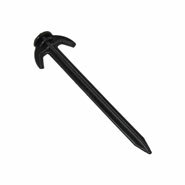 The non-live ground wire is strengthened with additional plastic monofilaments, which makes it particularly sturdy and tear-resistant. Additional plastic seals at each mesh intersection and robust cap insulators and ground stoppers give this net for small animals the necessary stability. 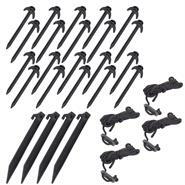 The 8 stable plastic posts are each equipped with two ground spikes. For movable applications the posts can be disconnected from the netting. 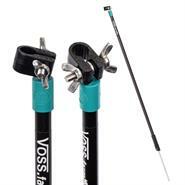 This means you can flexibly relocate the posts as needed. in our shop you can find a wide range of matching accessories for your electric netting. 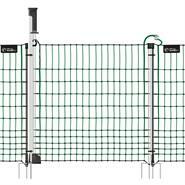 For example: use the netting gate as an easy entrance for your fencing, or the NetFix support to stabilise the net's corners or as an intermediate support. In order to achieve optimal fence security the netting must be electrified. This will prevent your pet from biting it or slipping through it. can also be used to fence in flowerbeds, ponds and vines.